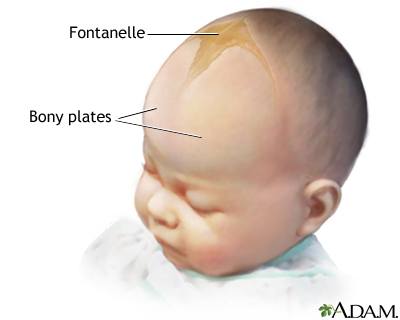 Fontanelles are the "soft spots" on an infant's head where the bony plates that make up the skull have not yet come together. It is normal for infants to have these "soft spots", which can be seen and felt on the top and back of the head. Fontanelles that are abnormally large may indicate a medical condition.